The Rural Payments Agency (RPA) has confirmed the entitlement values, including those for greening, that will now be used to calculate farmers’ 2015 Basic Payment Scheme (BPS) payments. The following has been reproduced from the Gov.uk website and explains entitlement values, Greening Rates, the National Reserve and the Young Farmer payment. Further guidance can also be viewed here. Under the BPS scheme, farmers need to hold an entitlement for every hectare of eligible land they are claiming on. The size of farmers’ payments will depend on how many entitlements they use, supported by eligible land and the value of those entitlements. 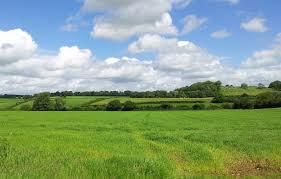 Farmers must also meet new greening rules to receive additional funding. The greening part of payments will be calculated by taking the number of entitlements that they have used with eligible land to claim payment and multiplying it by the greening value. The scheme’s National Reserve – used to fund additional entitlements for the Young and New Farmers – has been set at 0.75%. The RPA will soon be contacting anyone who has applied for entitlements from the National Reserve to confirm if their application has been successful. Eligible Young Farmers, who applied, will receive an additional payment equivalent to a quarter of their entitlement value. The RPA remains on track to make full BPS payments as early as possible in the payment window with the majority before the end of December and the vast majority by the end of January 2016.The BPS payment window opens in December and closes in June 2016. For assistance or information please contact Laura Gaydon, Associate Partner in our Shipston on Stour office.